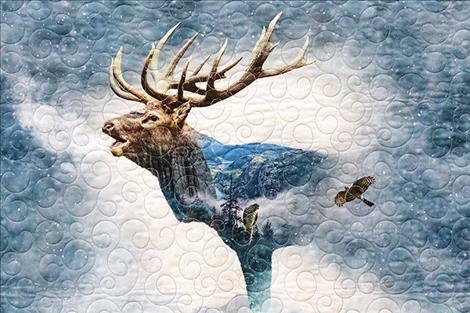 Terri Duncan's quilt, "Reflections," won Overall Champion in the 2018 Mission Mountain Quilt Guild Quilt Show. 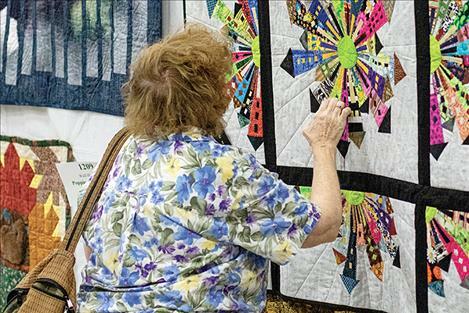 A visitor to the quilt show studies the details of quilt number 1402. RONAN – Each of the 140 quilts displayed this past weekend in the K. William Harvey Elementary School gym had a story to tell. Whether it was a tale of a family heirloom quilt passed down from generation to generation, a celebration of past glory days from high school or a story of just sharing time quilting with friends and family, there was much work and care that went into all the flowing, stitched fabric art hanging in this year’s Mission Mountain Quilt Guild Quilt Show. 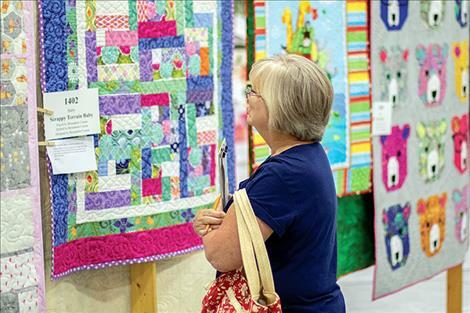 While not fully affiliated with the Lake County Fair, the event attracts hundreds of visitors every year and has become an annual tradition around fair time. 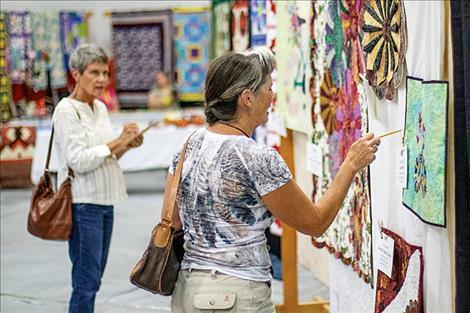 This year, the show featured a collection of quilts from award-winning quilters Linda Schoon and Rosa Tougas. Both ladies enjoy the creative aspect of quilting. 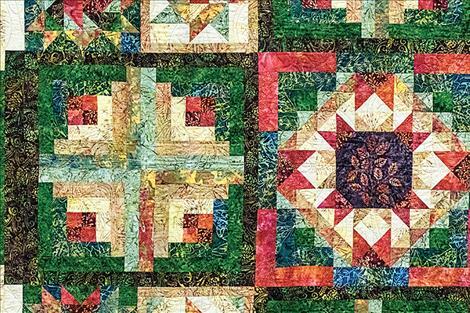 The 2018 Mission Mountain Quilt Guild Quilt Show had every imaginable pattern and print, floral and geometric patterns, animals and abstract designs, every color of the rainbow and a few you might never have imagined. 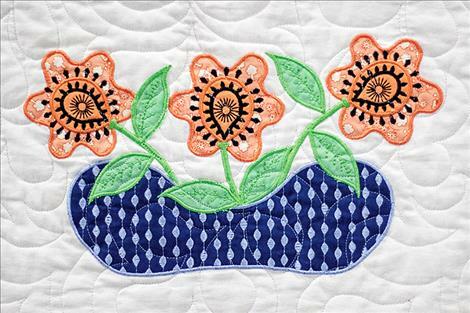 Quilting is no longer a pastime just for grandmothers and ladies sewing circles. 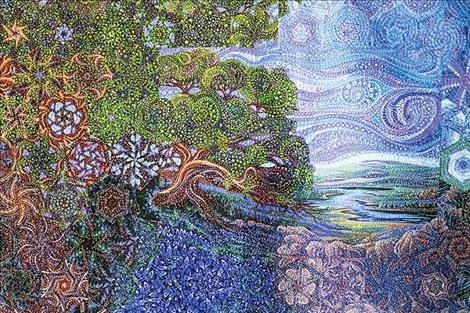 Quilting has a modern edge. One that shows off unconventional freedom when it comes to creating unique works of art. Ribbons were awarded in 17 categories, including an overall champion.